Tricare Fraud Investigation Defense Attorney - Oberheiden, P.C. Who Are the Targets of Tricare Fraud Investigations and What Should They Do? The attorneys of Oberheiden, P.C. have represented healthcare executives, physicians, marketers, and pharmacies accused of Tricare Fraud in proceedings across the country. Our deep involvement in the current Tricare investigations and our ongoing dialogues with government officials in charge have provided us unique insights into the prosecution process and the government’s objectives. The following is a brief account of our experience and observations. 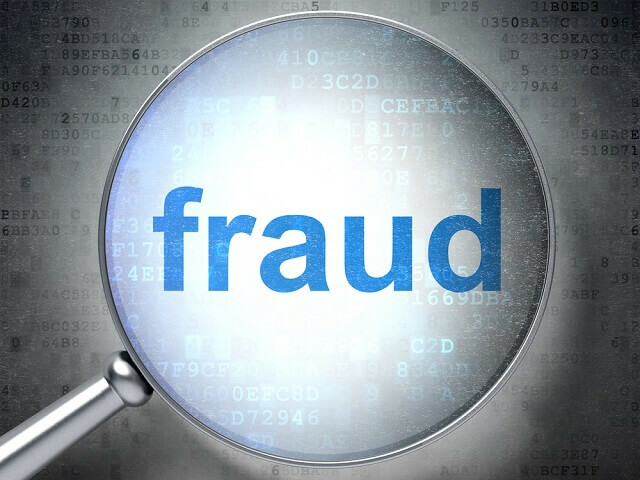 Since 2015, the U.S. government has dramatically increased its effort to investigate and prosecute healthcare fraud in the context of Tricare compound products. Targets of the investigations are individuals that have participated in alleged schemes to defraud the federal government by a widespread network of federal kickbacks and other illegal payments between pharmacies, physicians, and marketing groups. In charge of the investigations are agents of the Federal Bureau of Investigation (FBI), the Drug Enforcement Administration (DEA), the Office of Inspector General (OIG), as well as special agents of the Department of Defense’s so-called Defense Criminal Investigative Service (DCIS). What Are the Government’s Objectives? Case filings have shown that the government considers the prescription practice for certain compound lotions and scare creams for Tricare beneficiaries between 2014-June 2015— with very few medically indicated exceptions— excessive and therefore fraudulent. In the government’s view, compound pharmacies, physicians, and marketers unlawfully enriched themselves by promoting useless, medically unnecessary creams and lotions at the expense of the federal government. That said, the government’s goals are twofold. First, the government wants to recoup the money that Tricare paid for compounds. Because, realistically, some of that money—estimates range from tens to hundreds of billions of dollars—has been spent or been distributed down the chain, the declared goal at this point can only be to recoup as much money and as many assets as possible. In the cases known to date, the government has begun to execute criminal search and seizure warrants and deprived several defendants of their assets and cash that allegedly stemmed from the Tricare compound business. Second, the government has begun a massive national manhunt for key participants in what is considered the Tricare compound fraud pyramid. Hundreds of law enforcement agents from the Federal Bureau of Investigations and the Defense Criminal Investigative Service of the Department of Defense are searching for, identifying, and interviewing beneficiaries, doctors, marketers, and healthcare executives. Often, one lead leads to another, and the list of targets and suspects increases rapidly. Agents then report their findings back to federal prosecutors, who will ultimately decide whom to prosecute. Structurally speaking, the government investigates Tricare Fraud as a fraud pyramid or triangle. While different U.S. Attorney’s Offices may vary on the exact hierarchy of individuals involved, all law enforcement agencies seem to agree that compound pharmacies, pharmacy owners, pharmacy staff and pharmacists, prescribing physicians, marketers promoting compounds, lawyers approving the scheme, and Tricare beneficiaries are necessary and integral elements of the scheme and therefore, to varying degree, potential targets of criminal investigations. Compound Pharmacies. At the top of the fraud pyramid, according to the government, are pharmacies and their executive staff, consultants, pharmacists, and business owners that processed or caused to process Tricare compound prescriptions by overcharging Tricare, a federally funded healthcare program. Although one position to take is to say that these compound pharmacies only filled what licensed physicians prescribed, the government takes the view that the heavy marketing fees paid to business development groups and telemedicine promoters are indicative of a willful and deliberate participation in federal healthcare fraud. Meanwhile, several pharmacies have been raided by federal law enforcement agents, and it seems predictable today that more are to follow. Executives affiliated with compound pharmacies are well advised to seek legal representation to pursue a proactive defense plan. Prescribing Physicians. While the government understands that most physicians were not aware of the big picture scheme and perhaps naive, the government’s position is that the scheme would not be possible but for the prescriptions from the doctors. Physicians should take a proactive stance and consult with experienced attorneys to discuss their potential exposure and compare their role and their prescription policies to public targets such as Dr. Paul Bolger of Davenport, Iowa, who made national news for not verifying patient’s medical records, identities, and insurance plans before prescribing controlled compound substances and who is now facing years in federal prison. Any physician that received a Tricare audit, has been approached by FBI agents, or has received a federal Grand Jury subpoena should be on highest alert and should immediately build a defense plan with the help of experienced attorneys as these may be signs of upcoming criminal charges. Marketers. A focus in the current investigations is the role of marketers that promoted the compound products directly to beneficiaries or to physicians. The government sees marketers as the liaison between physicians and pharmacies and, as such, a critical piece in the main fraud triangle between pharmacies, doctors, and marketers. In one of the first cases against marketers for their involvement in compound pharmacy fraud, the U.S. Attorney’s Office for the Northern District of Texas indicted two individuals in February 2016 for anti-kickback violations, healthcare fraud, and other federal crimes pointing out, among others, that receiving percentage based commissions on federally funded business violates federal law. The indictment in that case lists all bank accounts and assets the government seized with search warrants, depriving the two individuals of essentially everything, including their cars, houses, cash, and many other valuables. The two marketers remain in federal custody and bond was denied. Beneficiaries. Finally, undoubtedly at the lower end of the pyramid, there are the Tricare beneficiaries. Because the fraud scheme would have been incomplete without the compound requesting patients, Tricare beneficiaries could face felony charges for committing healthcare fraud or misdemeanor charges for committing federal program fraud. At a minimum, those beneficiaries that participated (especially those that received money to request compound lotions) are at risk of losing their insurance benefits. Oberheiden, P.C. is a boutique healthcare fraud defense law firm with a national practice. Clients from across the country — New York, South Carolina, Florida, Texas to name just a few — engage us when facing healthcare audits or government investigations. We know that in times of crisis our clients need fast and efficient representation and our clients know that we are able to provide such help. The Firm’s healthcare fraud cases are handled by experienced attorneys. If you feel like you are being audited or investigated or if you simply want to discuss your Tricare exposure, you should speak with one of us immediately to keep things civil. All calls are free and confidential.